WATER-SKI & WAKEBOARD INSTRUCTOR WANTED! This is a very exciting opportunity for someone who wants to work FULL TIME in a watersports centre outside of Europe, in the glamorous U.A.E. Have you always wanted to live in the sun, take part in international events and be part of an enthusiastic & fun team, then you need to get in touch TODAY- This position will not be on the market for long! SEND YOUR CV TODAY to sarah@bristolmaritime.co.uk Interviews will be scheduled & will either take place in Bristol or at the RYA London Boat Show! The Bristol Maritime Academy RYA Centre is based in Bristol’s Floating Harbour – 80 acres of non-tidal water amongst maritime history and a thriving cultural community, with direct access to the challenging tides of Avonmouth and the Bristol Channel. 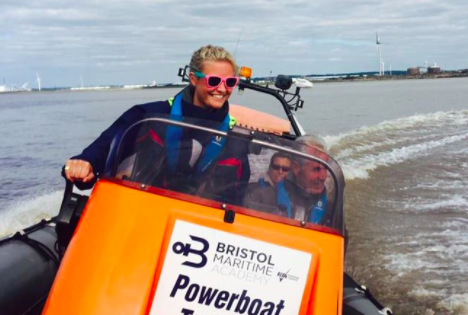 This makes The Bristol Maritime Academy the only RYA coastal training centre based in the Bristol Harbour, providing you with the perfect training location, whether you need inland, river or coastal courses. We run a variety of RYA courses, practical and shore based theory at our HQ based within the historic Underfall Yard in Bristol harbor and we pride ourselves on the high quality training delivered by our RYA qualified instructors, each with their own extensive background within the marine industry. We will ensure any training you undertake with The Bristol Maritime Academy will be informative, entertaining and memorable and we are proud to be a part of Bristol’s maritime heritage and develop our courses to cater for professionals and enthusiasts alike.